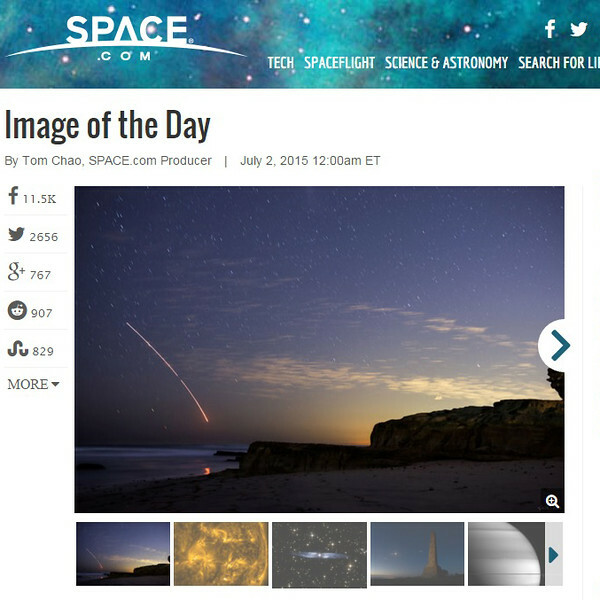 I'm very excited to share the news that my image of the Delta IV rocket launch from Vandenberg AFB is the Space.com Image of the Day! You can follow the link to read more about the launch! The image was taken in Del Mar, California with a Nikon D800E and a Sigma 50mm f/1.4 ART lens.